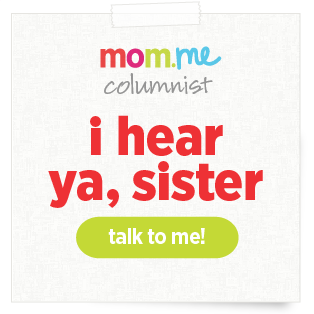 The following post was written by my Mom, Erin Brockovich WWW. Thanks, Mom. You're my hero. 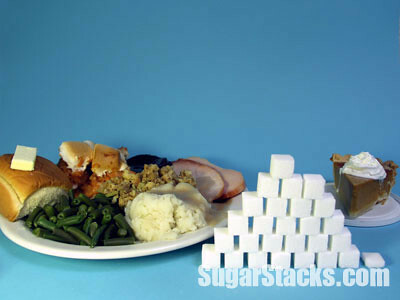 Rebecca, Alyssa and I have all written posts about cutting down (or cutting out) sugar. Bo has been a case study on the negative impact of sugar in children. 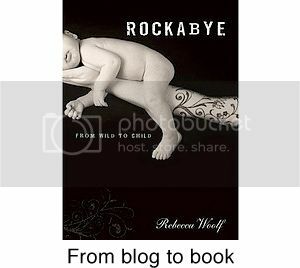 But what if your child doesn’t exhibit such dramatic effects? How much sugar is “too much?” And how do we navigate a low sugar lifestyle? As in anything, a little bit is ok, but most of us eat way too much sugar…up to 7 times what is recommended. 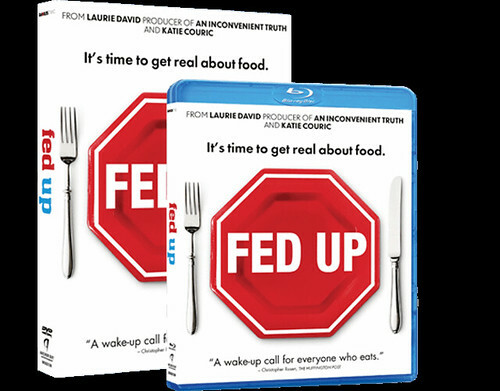 I just watched the movie, Fed Up, and I feel it is the most important movie a parent could watch. It would make me completely lose faith in our government if I didn’t realize, after watching, that WE can make the change. 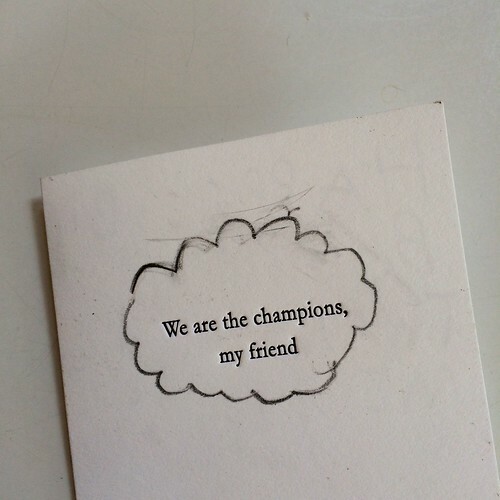 WE can write letters, refuse to buy products, demand our schools provide healthy food. This country’s power is in the people’s voice, but that power has to start with education. And Fed Up is a perfect place to go to better understand sugar’s impact on the obesity epidemic, type 2 diabetes, and even cancer. First, some background. It all started in the 1970’s when heart attacks were at an all-time high and Senator George McGovern called a Congressional hearing to study the topic. Nathan Pritikin, (founder of the Pritikin diet and longevity guru) testified before the hearing and the conclusion was that Americans ate too much fat. This lead to the first set of government dietary guidelines, which recommended Americans to eat less fat, less sugar, and more fruits and vegetables. The meat, sugar, dairy, and egg associations united and rejected the McGovern report and demanded a rewrite. Nothing about sugar was included in the guidelines. Fat was the bad guy. The food industry immediately set to work to make foods low in fat. But without the fat, they were tasteless. So what did they do? Add sugar. Lots of it. And since there were no guidelines about sugar, the more the merrier. Since sugar is 6 times more addictive than cocaine, adding more sugar to products made us want more. Companies did a great job of convincing everyone that low-fat (and high sugar) foods would be healthier and would make you lose weight. By the 1990’s, even cookies were low in fat. They were packaged with such names as SnackWell’s and the advertising agencies brainwashed us to believe we could eat as many as we liked and never get fat. Now 80% of the 600,000 food items on the grocery store shelves have added sugar. Since 1970, Americans have doubled their sugar intake. Obesity rates have also doubled and the incidence of diabetes, tripled. Big Sugar has lobbied hard to prevent any regulations of any kind on advertising or labeling, and has lobbied the government to adopt the calories in/calories out philosophy. This states, incorrectly, that obesity is simply a matter of eating too many calories. According to this myth, 100 calories of soda and 100 calories of almonds are the same thing to the body, meaning all calories are the same. Why not have that soda! It’s only 100 calories! You can work that off by walking for 20 minutes! This false perception has lead to blaming individuals for their own obesity. “They just eat too much,” is the common belief system. “They need to exercise more!” However, this is a drastic oversimplification of the truth. It doesn’t take into consideration how the calories are metabolized once in the body. Sugar, for example goes straight into the blood stream and then to the liver. If we have too much sugar, insulin turns the sugar into fat. On the flip side, almonds contain vitamins, minerals, healthy fats, roughage, and protein, all which are metabolized into the body and used to fuel our daily activities. Coke, Pepsi, and other food manufacturers want you to believe that a calorie is a calorie, pure and simple, and have manipulated many people to believe that regulating and labeling food is taking away our freedom. “Shouldn’t each individual be able to decide how they want to eat their calories?” And the government goes along with supporting the calories in/calories out claim because the sugar lobbyists are powerful. As an example, when the World Health Organization (WHO), stated in 2003 that sugar was causing health problems and recommended that people eat no more than 10% of their calories in sugar, the sugar industry and George W. Bush (he personally went to Geneva) threatened to withdraw our $406 million dollars in funding to WHO if they didn’t retract that recommendation. Blackmail, pure and simple. WHO came out with their new sugar guidelines this year, which now state that we shouldn’t have any more than 5% of our daily calories as sugar. (This does not count the sugar naturally occurring in fruits and vegetables.) Children(4-8) should have no more than 12 grams of sugar per day and adult women, 25 (36 for men). To put this in perspective, a can of coke has 37 grams of sugar (3 times the recommended maximum for children) and a glass of orange or apple juice, has between 25 and 27 grams of sugar (2 times the recommended maximum). A serving of sugary cereal has about 9 grams (3/4 of the recommended maximum sugar) and a six-ounce container of yogurt, 24 (twice the recommended). The USDA is coming out with new nutrition labeling, the first in 20 years, which among other things will have both “sugar” and “added sugar.” But still no percentages. Sadly, the government is inadvertently subsidizing the obesity epidemic. The USDA supports our farm industry by subsidizing farmers (and making corn cheap to be processed into high fructose corn syrup), but also it is supposed to support nutrition and nutrition recommendations, clearly a conflict of interest. And it isn’t just sugar that is the problem. Ever wonder where all the fat goes that is skimmed off the top of low fat and nonfat milk? Dairy Management, a USDA subsidiary, helped brainstorm ways to turn that fat into money by making more cheese. With all that extra cheese, Dairy Management encouraged restaurants to add more cheese to pizza and to add cheese-laden items to their menus, such as macaroni and cheese, cheese fries, and almost anything on most menus of fast food and chain restaurants, hugely increasing saturated fats and calories. They helped brainstorm and found that by making cheese easy by pre-shredding it or packaging it in serving size pieces, cheese sales increased hugely. All this while they were warning us about fat. And school lunches? They provide another avenue to heap on sugar and fat. After Reagan’s tax cuts, school lunch programs were switched from cafeteria-cooked meals to fast food. In most schools, kids are offered a variety of sugary and fatty addictive and unhealthy foods. Even though they are required to serve vegetables, the USDA includes tomato sauce, potatoes and ketchup as accepted vegetables! One of the shocking discussions in the movie is that people, including kids, can have inner obesity, even if they outwardly don’t appear to be overweight. This means that their inner organs can be just as unhealthy as an obese person, and you would never know until problems start developing, such as type 2 diabetes, high cholesterol, or high blood pressure. This is called “normal weight obesity” or “skinny fat.” You can read more about this here and here. In 1965, the tobacco companies were finally required to label cigarettes as being hazardous to our health. In 1970, Cigarette ads, which often targeted children (as in this Flinstones commercial), were banned from TV and radio. Since then, smoking by teenagers has been cut in half. Childhood obesity in this country has more than doubled and adolescent obesity, quadrupled, in the last 30 years. Sugary products and fast food are dangerous to our health. As obesity approaches smoking as the leading avoidable cause of premature death, shouldn’t the same bans on ads that target children be applied to food? Aren’t warning labels and taxes on high-sugar foods just as important as those on tobacco? 2. Take the 10-day Sugar Challenge on the Fed Up website. 3. Pressure the government to confront the biggest public health crisis of our time. Support policy makers in favor of taxes on sodas and other sugary drinks and to label sugar as a percentage of the maximum sugar recommended. 5. Alyssa gave some helpful tips in her post a couple of weeks ago. Cooking for and with your family is probably the best thing you can do for their overall healthy eating. 6. Talk to your children about the dangers of sugar, as you would about cigarettes or drugs. In the end, we need government regulations and labeling, but it is up to the parents to educate their families on healthy eating. 8. Make your kids’ lunches (including water as the drink) with lots of healthy foods. 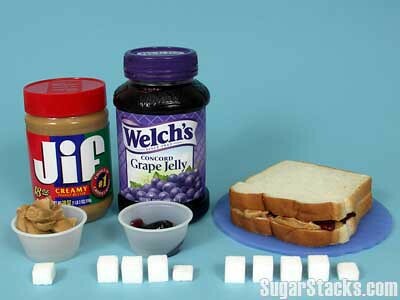 If your child will only eat peanut butter and jelly, put the minimum jelly you can on the sandwich…1 tablespoon has 10 grams of sugar!!!! Try leaving the treat out of the lunchbox and giving it to them when they get home. 9. Steer clear of soda and juice. 10. Read labels—sugar is hidden in all sorts of foods, including bread, pizza, salad dressings, ketchup, some peanut butter (Jif) and tomato sauce—and choose foods low in sugar. (Ragu and Prego, for example, each have a marinara sauce without added sugar.) Keep the magic numbers in your head…12 grams of sugar a day for kids (4-8), 24 g for women, 36 g for men. 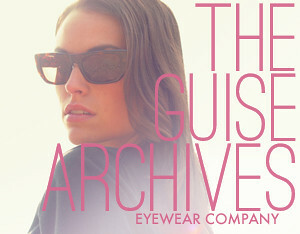 For a complete list, go here. 11. 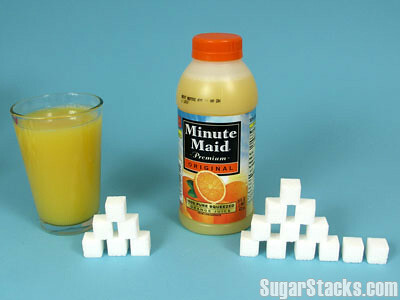 Sugar Stacks is a great website that shows you visually how much sugar is in every-day foods. 13. 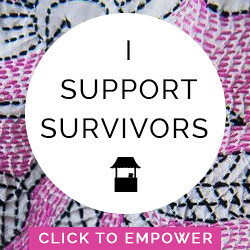 Use social media to spread the word. We, as women, are incredibly powerful when it comes to the food industry, since it is mostly women who do the shopping and menu planning. Money talks. If we join together and insist on changes, they can happen. It won’t be easy, but if we don’t, we are looking at a very grim future for our children. 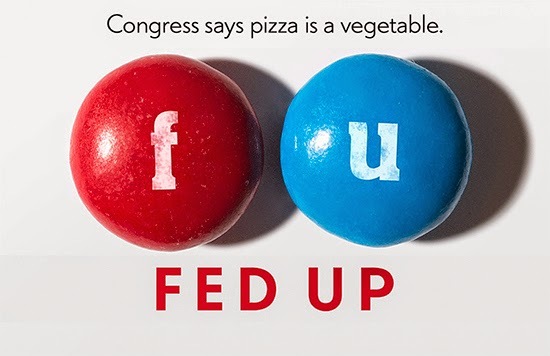 You can rent Fed Up on Netflix, here or stream for $3.99, here. And if you're interested in hosting a Fed Up screening party, you can do it by signing up here. As always, I would love to hear your comments and keep this dialog going.